It takes good project management, but for most hospitals the answer is becoming yes—even for many smaller facilities. Do we need a VNA? Most experts think the answer is usually yes, but managing a vendor neutral archive (VNA) project is a challenge for any organization. For those that don't have the internal IT resources to do it themselves, the degree of difficulty increases. It's still doable, but requires a greater degree of collaboration with an organization's vendors. Michael J. Gray, the principal owner of Gray Consulting, says project management is a big stumbling block because VNAs need to work in concert with multiple components to provide optimum value. VNAs allow organizations to store all of their medical images in a single repository, which streamlines access to those images across the enterprise. But a VNA requires frequent upgrades to keep up with the idiosyncrasies of PACS and other modalities that are linked to it. That management can be difficult even under the best conditions, Gray says. He adds that although organizations with fewer IT resources will have to rely more on their vendors to deal with these idiosyncrasies, VNAs are still worthwhile. "Everyone needs a VNA," says Gray, meaning the centralize archive. "Everybody should be managing their data that way, not necessarily in a neutral environment because that's a misnomer, but in an environment where you can manipulate data as necessary based on where it came from and where it has to go. Everybody should do that. There isn't any argument for continuing to build standalone silos of data." Brad Levin, the general manager for North America for Visage Imaging, agrees that smaller organizations with smaller technology budgets may find VNA implementation challenging, but thinks they need to consider competitive challenges as well. For example, an independent community hospital that handles fewer than 150,000 radiological exams in a year may find that the archiving capability of their PACS serves them well. However, if that hospital is in a competitive market, looking to grow, or positioning itself to be acquired by a larger institution, he says there will be pressure to upgrade their technology, including their archive. Because of the growing trend of industry consolidation among health care organizations, Levin thinks independent facilities will be rare within five years. Many smaller and midsize organizations haven't yet recognized the need to upgrade their technology, Levin says. Once they do, they will need a plan to move forward. In recent years, many health care organizations have focused on implementing EHR systems. Once an EHR is in place, Levin says medical imaging is typically the next biggest target. Making medical images accessible throughout a health system requires three components: an archive, a workflow application, and an enterprise viewing application. If an organization is not looking to immediately upgrade its PACS, leaders may consider first implementing an enterprise viewing platform, replacing the viewing components of the PACS. Once the viewing platform is in place, they may then consider moving to a VNA. Other organizations, however, may place a priority on imaging aggregation and choose to focus on the VNA first. "Typically, it's not small organizations [who are adopting VNAs], but if you've got a collection of small community hospitals that are affiliated into a regional network, consolidating your images in a centralized repository is going to be very attractive, particularly if you want to have a single viewing environment that's connected to that VNA," Levin says. "So those institutions may begin a migration from the PACS or the multiple PACS that are being used at various organizations within the system, consolidating their images in the VNA through an enterpriselike migration, and then investing in a diagnostic viewing layer that fits on top of the VNA infrastructure." Those familiar with PACS migrations know that migrating data is a lot of work. Although VNA vendors will migrate data for their customers, Cynthia Hardin, executive director of infrastructure product management for McKesson, says a VNA should have tools that allow customers to migrate their own data, if they choose. Cleaning data to make them accessible to multiple systems is a crucial piece of the migration process, and Hardin says customers are often looking for help and expertise with this step to reduce liabilities down the road. Properly cleaning data also makes later migrations more manageable, if the customer ever decides to switch VNA vendors. Asking the right questions can go a long way toward making the project a success. Hardin says a common question is which data to put in the VNA first. DICOM data are often at the top of the list. After that, organizations may look elsewhere in the enterprise or ask their vendor for suggestions. She says IT departments are used to dealing with radiology and cardiology data, but they may not realize that there are multiple access points and sizable amounts of data associated with departments such as endoscopy, ophthalmology, or even dentistry. It's also important to think about how the data will be used. "You have to take into account the workflow of the system, as well as the data that you're going to put in it," Hardin says. "In other words, organizations should not only focus on identifying where existing data are coming from to get into the VNA but also what the workflow is going to be, after the data are migrated to the VNA, to allow continued access of that data. Will it need to be retrieved by the original device that acquired it? Is the organization going to distribute it to their clinician base on multiple devices with different operating systems? Are they looking for connectivity to a health information exchange? It's important for the vendor to understand not just how to put data into the VNA but also what the customer wants to do with it afterwards." Hardin also recommends that organizations employ a Web-accessible data-monitoring tool with their VNA so they know what's going on in their system. These tools can be set up as dashboards on a workstation. A data-monitoring tool allows IT personnel to quickly determine when they have workflow processes that are failing, jammed interfaces, or a backlog of interface messages that are waiting to be delivered. For organizations with smaller IT budgets, Hardin says, this type of tool is invaluable. Once the data are in the VNA, it will be necessary to decide how long to keep it. Gary Woodruff, an enterprise infrastructure architect for Sutter Health in Northern California, says information lifecycle management (ILM) is essential for any archive. Sutter is about 40% of the way through a VNA migration. Although Sutter has a very large amount of data—12 radiology PACS, six cardiology PACS, and 31 million exams that need to be migrated—their experience can be applied to smaller organizations. Sutter decided that any type of image, whether DICOM or non-DICOM, would be stored in the VNA so they had to decide whether to put DICOM wrappers on non-DICOM images or store them in their native format. Sutter opted to store images in their native format, although Woodruff says ophthalmology images are particularly challenging in this regard. He says it took about a year for Sutter to develop a request for proposal (RFP) that accounted for all of the types of images that would be stored in the VNA. It was also important to eliminate duplicate data. Although many PACS systems store duplicate studies, many VNAs attach unique identifiers to the images, which eliminate duplication and save significantly on storage costs. VNAs can also save money on migration costs associated with technology upgrades. "The sooner you neutralize that data by doing a migration, which is expensive, then you can at least apply ILM policies to it," Woodruff says. "You can also attach different viewer applications that might be new in a few years and pull the data back [without having to go through another migration]. If I neutralize the data that's being generated by any type of modality and flow [them] into a VNA, then [the data are] indexed and the VNA knows where all the data are. If I need to replace that module and the module's reports have been saved in the EHR, I can replace the module [in an easier, less costly way]. That's where the real savings are." Woodruff says a VNA vendor should be able to provide the expertise to help with migration and properly neutralize data. Sutter was careful in choosing a vendor because some vendors who claim to have a VNA don't neutralize the data sufficiently to prevent migration headaches down the road. Woodruff says it's imperative that the data are cleaned and indexed in a way that will allow them to be read by any system, regardless of vendor. Even after settling on a migration process, neutralizing data, and eliminating duplicate images, Sutter was presented with a less obvious problem: Woodruff says many of Sutter's systems exchanged data via DVD in pre-VNA days, making it difficult to determine who owns the data. It took some investigation to figure it out. "By taking a DVD from site A and putting it into site B's PACS, they created duplications of image data, and site B, many times, didn't ingest the entire study, they just ingested what the doctor needed to see. So when we migrated the data, we got disparate information that wasn't aligned but had duplicate identifiers. Initially, we assumed that site A owned all of the data, but when we started to migrate site B, we realized that it was really site B that owned it," says Woodruff. "We assumed that each site would own its data, and they do when the data's at an isolated site, but as soon as you start trying to merge them together, even if you only have two hospitals, there's generally some sort of data sharing that has taken place through the history of those systems." Another common assumption is that upgrading PACS is the best way to standardize and consolidate image access throughout the enterprise. When Franciscan Missionaries of Our Lady Health System (FMOLHS) in Baton Rouge, Louisiana, decided to consolidate all of their imaging, they were looking for a solution that could support 15 community facilities in their network that generate a little less than 600,000 radiological exams a year. When the FMOLHS team went to the RSNA Annual Meeting in 2014 to see what was available, they thought a new PACS would be the answer, says Jeff Rayder, PMP, CLSSGB, a project manager for FMOLHS. After talking to several people at RSNA, however, they decided to dig deeper, Rayder says. FMOLHS undertook an in-depth RFP process and met with several stakeholders throughout their health system to determine what was and wasn't working well. After that, it took some time to understand what was available on the market. Rayder says consulting with an expert who could bring a universal view of the industry to the table significantly aided the process. "I would expect it to be very rare that there would be personnel inside of a dedicated organization who could really keep a finger on the pulse of everything that's going on in the industry," Rayder says. "And I think right now, in particular, we stand at a very interesting point in the development lifecycle of new products, new systems, and new vendors." FMOLHS' investigation led to questions about how to create an optimum viewing environment that is fast and reliable. 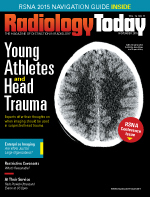 Radiologists want to be able to read from home and the system needs to have robust disaster recovery capability, a significant concern in hurricane-prone Louisiana. FMOLHS decided to implement a VNA, but they haven't yet decided on what the workflow will be or which viewer or viewers they will use. Rayder says many people may be inclined to go with vendors they know, but they may get more of what they want with a new player, provided they take some precautions. "I would be mindful to be very diligent in the contract process to ensure that key deliverables and timelines are included in the contract. A lot of project management should be done in advance of signing so you don't get six months or a year into a project and run into delays because there is certainly a degree of risk in going with new vendors and the promise of excellent technology," Rayder says. "You want to make sure that you're protecting your organization and the vendor is able to deliver what they are promising. There needs to be teeth in the contract to ensure that, if they don't deliver, they are liable for it." The process will be different for each organization. But the sources interviewed for this story stress that it's important to keep a long-term view in mind. There may be immediate benefits to a VNA and other technologies that help make imaging accessible throughout an enterprise, but a VNA technology should have the flexibility to change as the organization's needs change. It may be a while before smaller organizations are fully ready to tackle enterprise imaging, but they may be able to benefit from parts of an enterprise imaging strategy. To help meet the needs of these organizations, some companies are either developing their own combination of VNA, viewer, and workflow application or acquiring companies that produce some of these components. That's one reason Gray likes the best-of-breed approach if the organization is prepared to handle the project management, but those without excellent in-house IT staff may want to consider a consolidated approach. "Find a vendor that's got more of these components stitched together. So maybe you reduce the number of moving parts from five to two," Gray says. "We are in the midst of a paradigm change. You don't want to do things the old way, you want to do them the new way. But some people need help, and if you need help, you need to find a vendor who can do more of the pieces for you. Don't discount the technology changes that are beneficial. You just need to find the right combination." — David Yeager is a freelance writer and editor based in Royersford, Pennsylvania. He writes primarily about IT for Radiology Today.